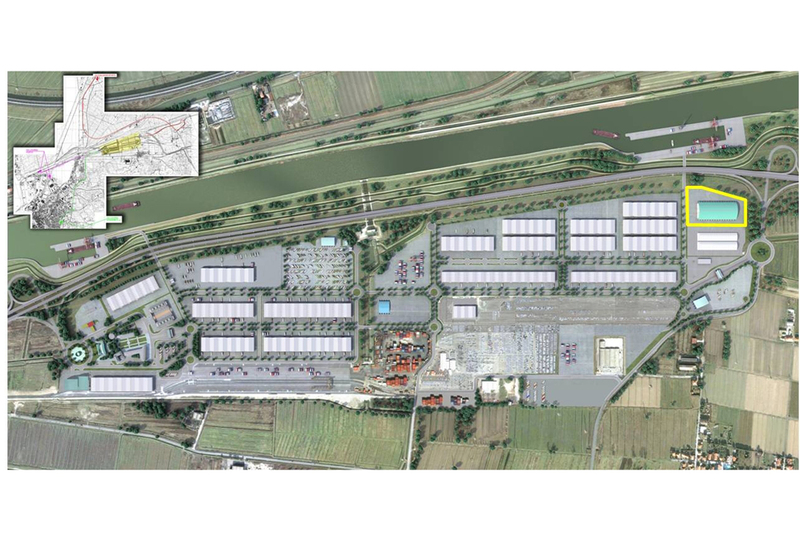 With its total surface of 2,800,000 sq.m., 324,500 of which are warehouses and 696,000 service areas, the A. Vespucci Freight Terminal of Tuscany is a Core Network infrastructure of the Guidelines proposal for the Trans European Transport Networks (TEN-T) as Rail Road Terminal (RRT) of the Port of Leghorn intermodal hub. Its geographic location, the characteristics and quality of infrastructures, the presence and development of specialised services (ex. customs), and the settlement of primary companies in their sectors, make the Vespucci Freight Terminal a European area for advanced logistics.